The Party football table is FAS's largest model, suitable for 2-6 players. 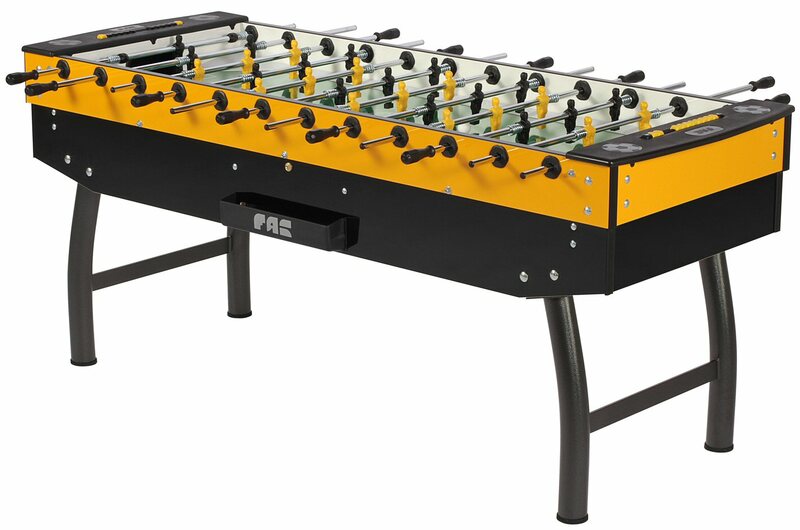 This over-sized, sturdy Italian commercial-quality football table can be supplied with an optional coin-mechanism. The table features a ball guard, hinged lid for easy access to large capacity cashbox. Indestructible polyurethane plastic handles & players, glass playing surface, anti-rust chrome effect steel telescopic poles & easily detachable legs.